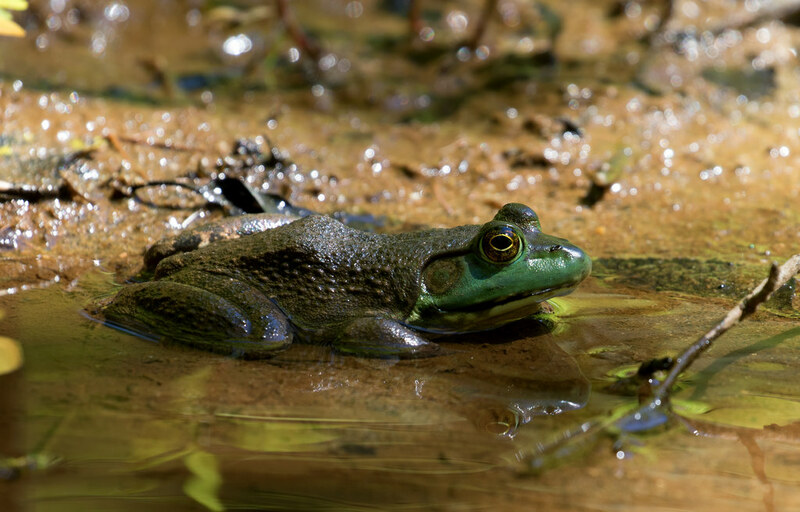 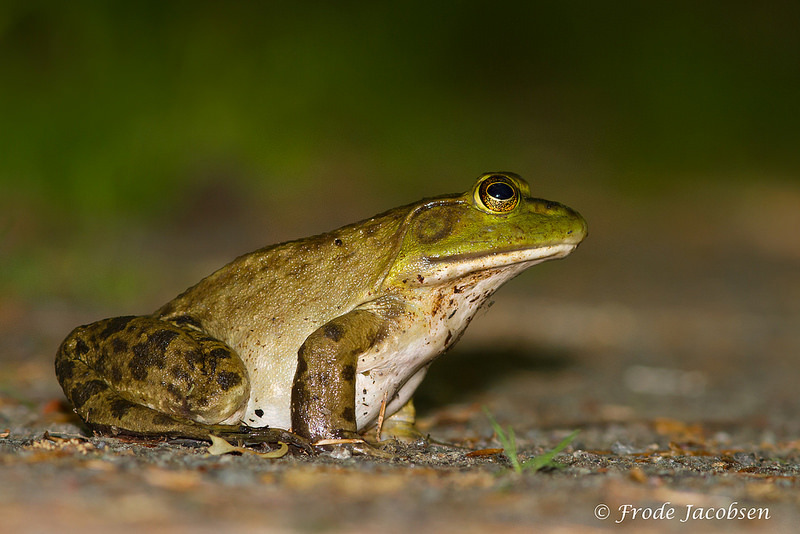 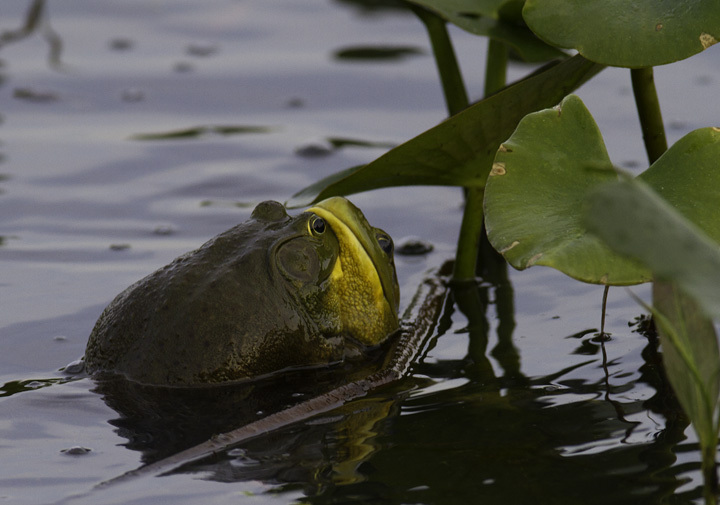 American Bullfrog (Lithobates catesbeianus) is the largest species of frog in Maryland. 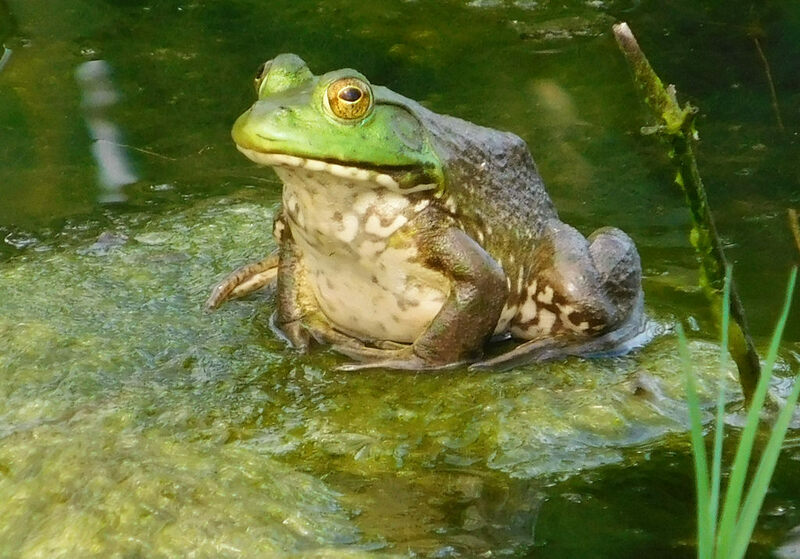 Bullfrogs are quite ravenous predators, and will attempt to eat almost any animal smaller than it is. 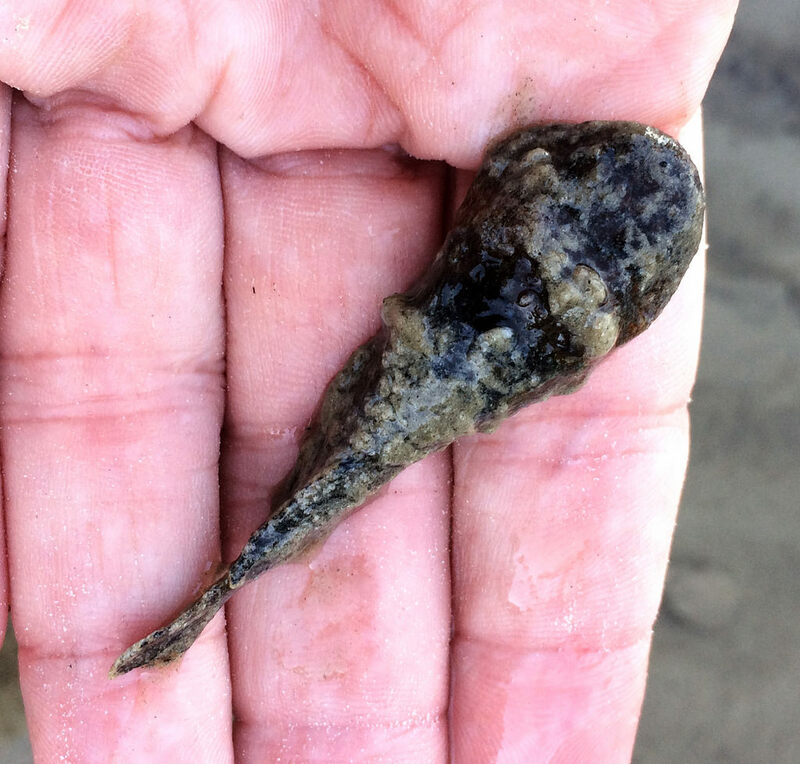 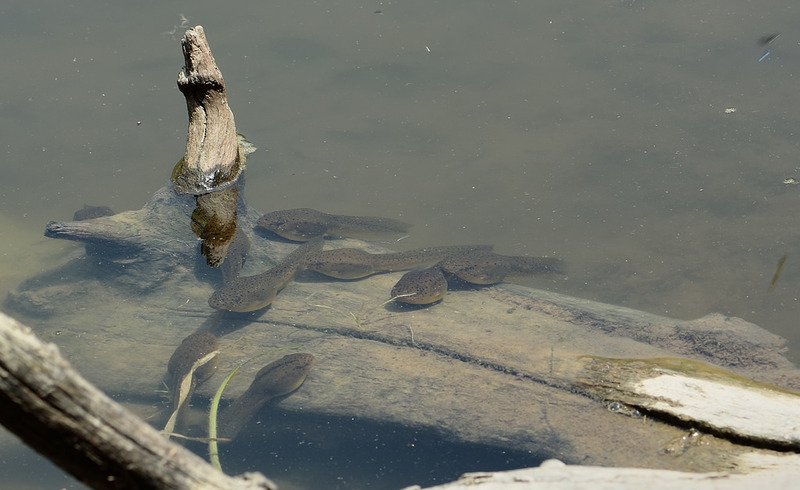 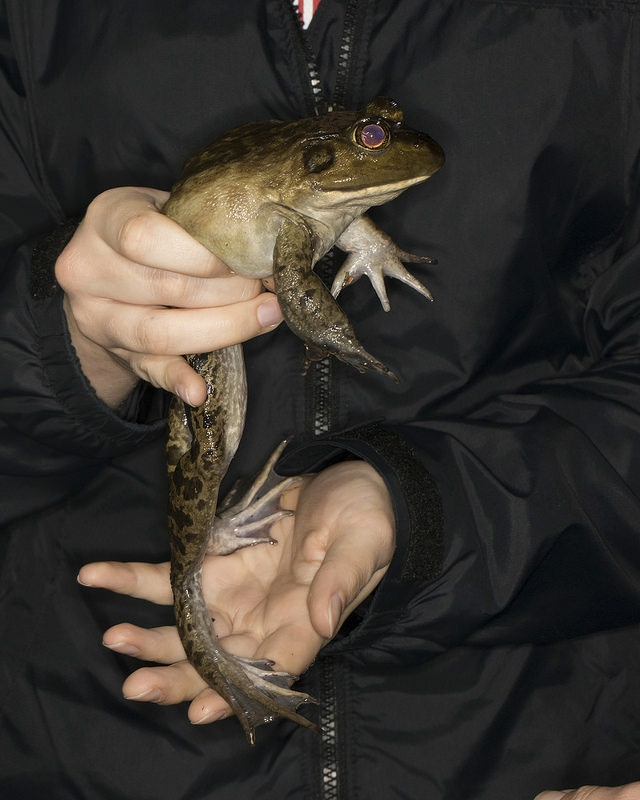 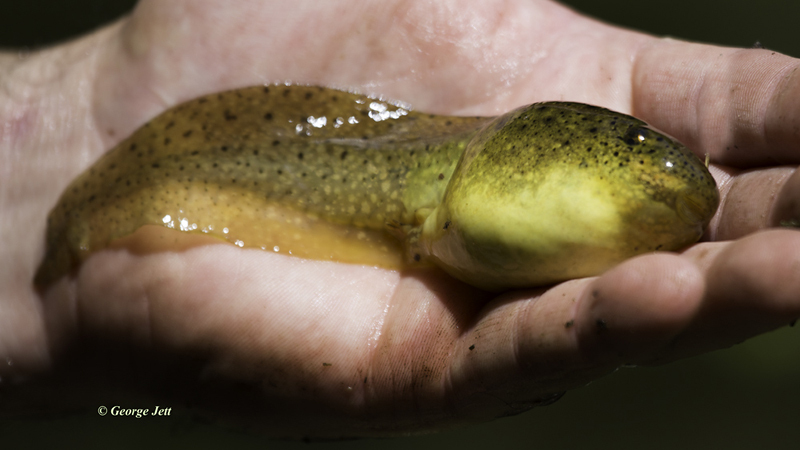 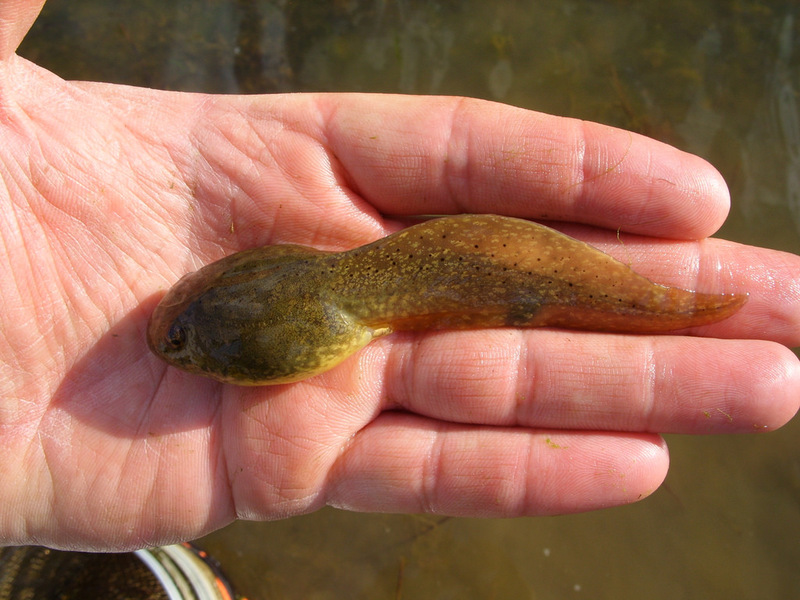 In fact, this species has caused declines in native amphibian populations in many areas of the American west where it was introduced by humans. 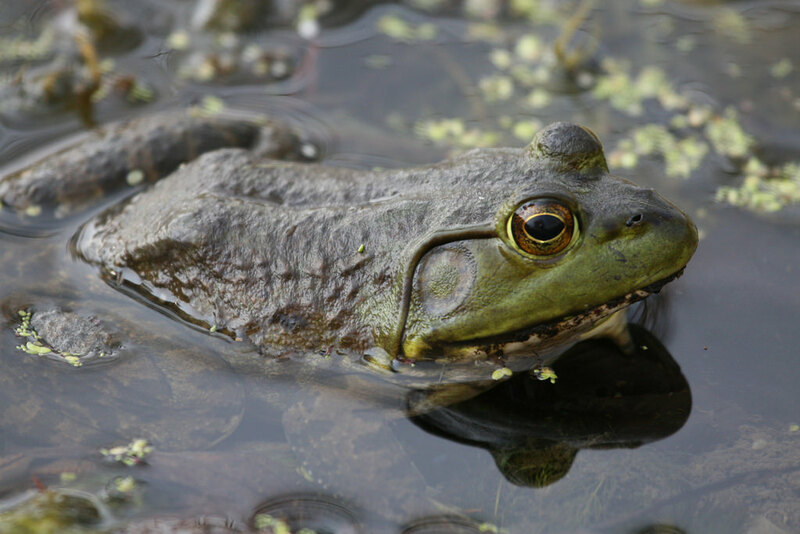 This frog is at home in virtually any permanent body of water, including ponds or lakes, bogs and swamps, and slower sections of rivers. 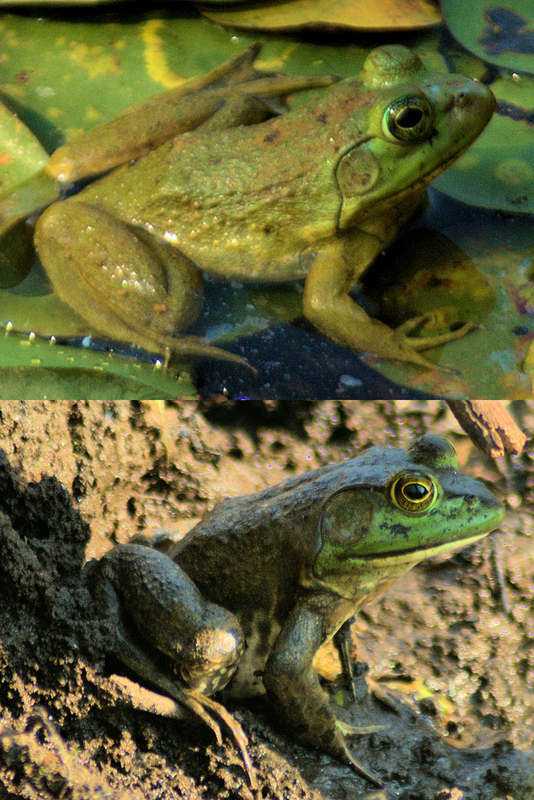 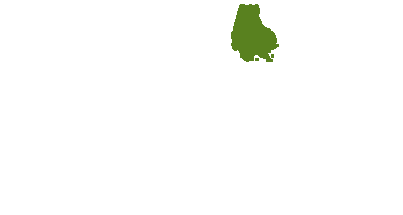 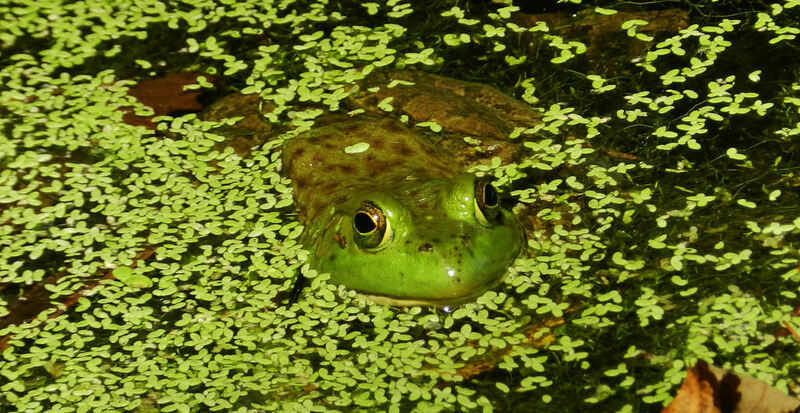 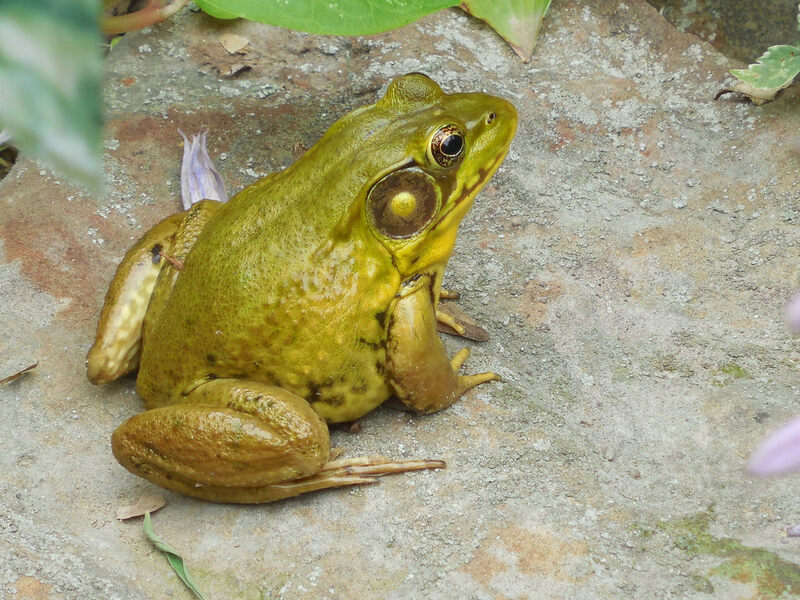 The loud, low-pitched croak of bullfrogs is distinctive and can be heard from some distance (Conant & Collins, 1998). 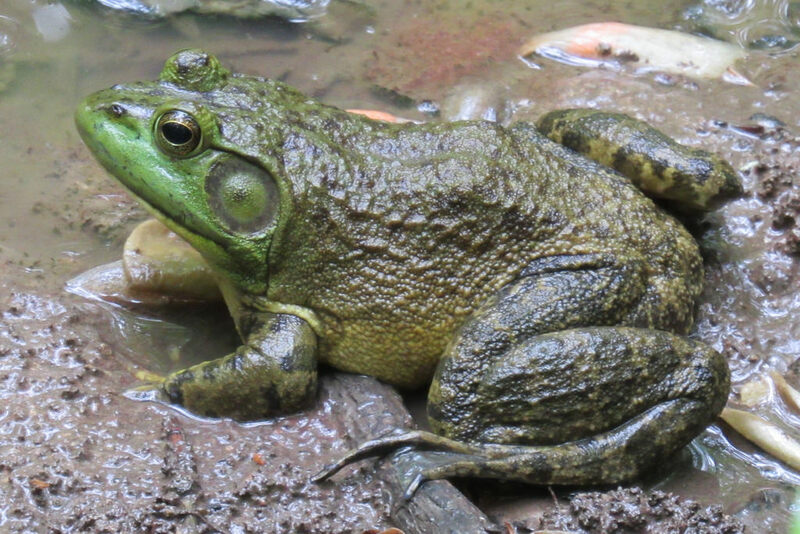 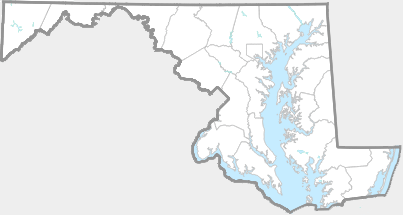 Bullfrogs are common throughout Maryland. 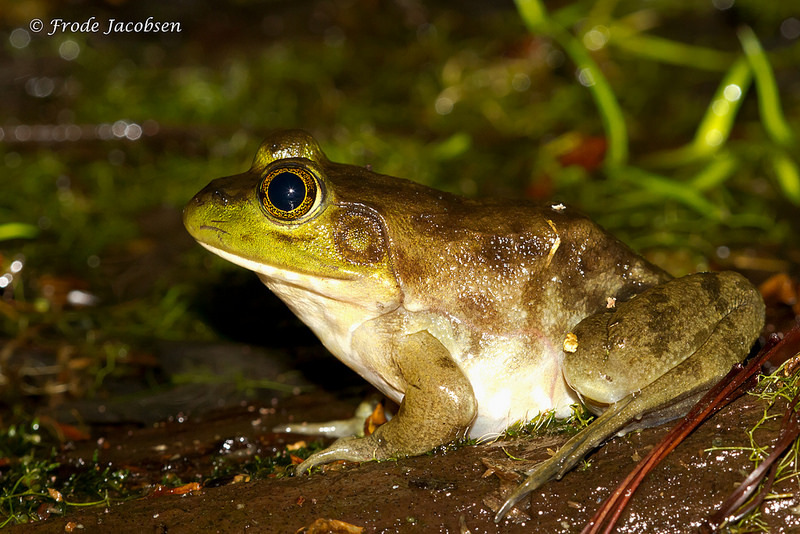 Bullfrogs can be easily distinguished from similar Lithobates species by noting the absence of dorsolateral ridges on the back. 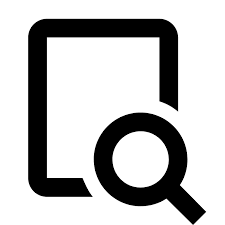 There are 204 records in the project database. 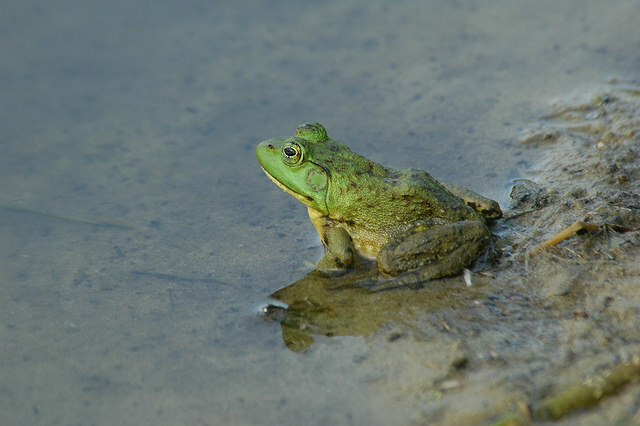 Calling at Hughes Hollow, Montgomery Co., Maryland (5/3/2011). 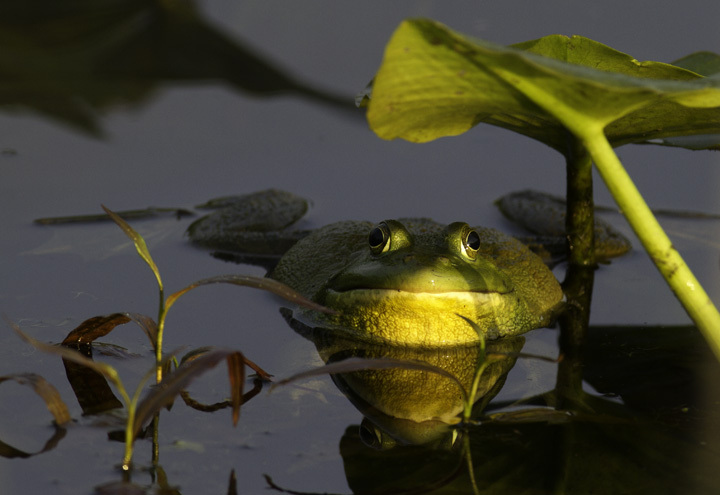 - Bill Hubick.